When I try to download Nosgoth by clicking on the "Play Now" button on the Steam Store page, the message "Scanning for Steam games updates" appears and nothing happens after it disappears. What should I do? There may be a bug with Steam that is stopping you from installing Nosgoth properly. - Exit Steam: go to your Steam Client, click "Steam" at the top left and select "Exit" from the drop down menu. - Delete everything EXCEPT THE FOLLOWING FILES AND FOLDERS. - Once all that remains in your Steam folder are the above files and folders, re-launch Steam using the Steam.exe application file and it should reinstall the files that we removed. 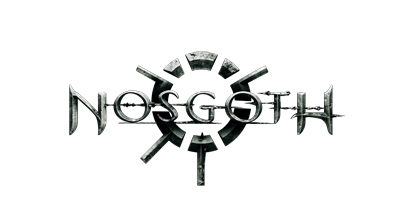 - Go to the Nosgoth Steam Store page, click "Play Now", and the issue should be solved. This error may occur when trying to play the game with the "Family Sharing" feature activated. Reinstalling Steam in the manner mentioned above forces the computer to be revoked from all Family Sharing and allows Nosgoth to be played normally. Unfortunately, reactivating Family Sharing can sometimes cause the issue to return.